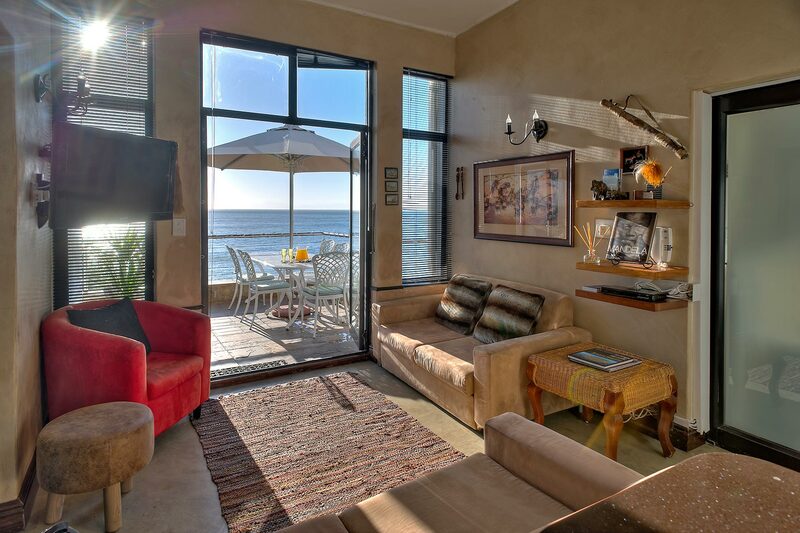 Two Bedroom Apartment with Sea View! 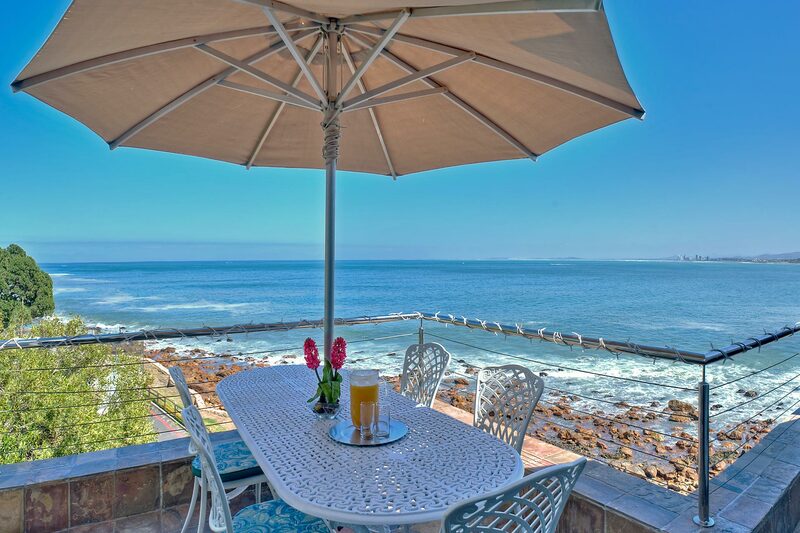 The balcony of this two-bedroom apartment with sea views in Gordon’s Bay feels like a yacht deck with waves lapping beneath you – wonderful to barbecue, and especially to watch the sun set over the False Bay against the silhouette of the Table Mountain range. The entertainment deck leads through French doors to an open-plan lounge, granite diner and kitchen – decorated with genuine 1920 family African Safari treasures. 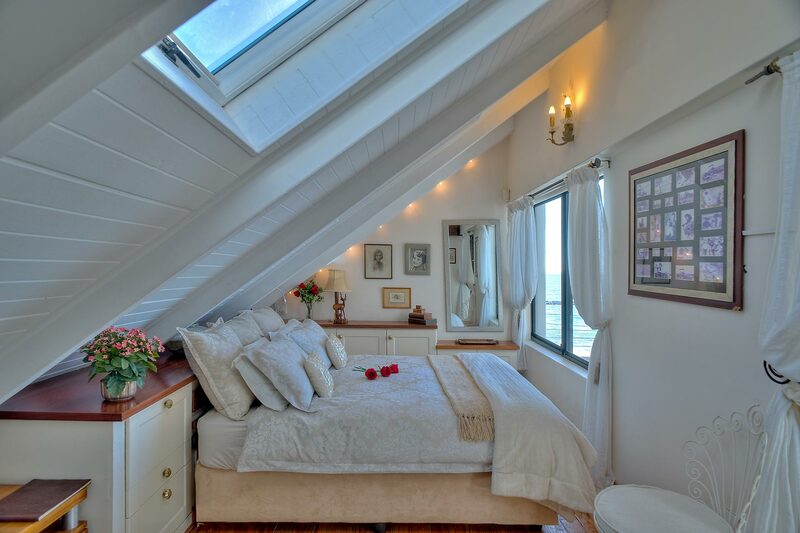 The romantic ‘Out of Africa’ bedroom has fabulous sea views and a full en suite bathroom. 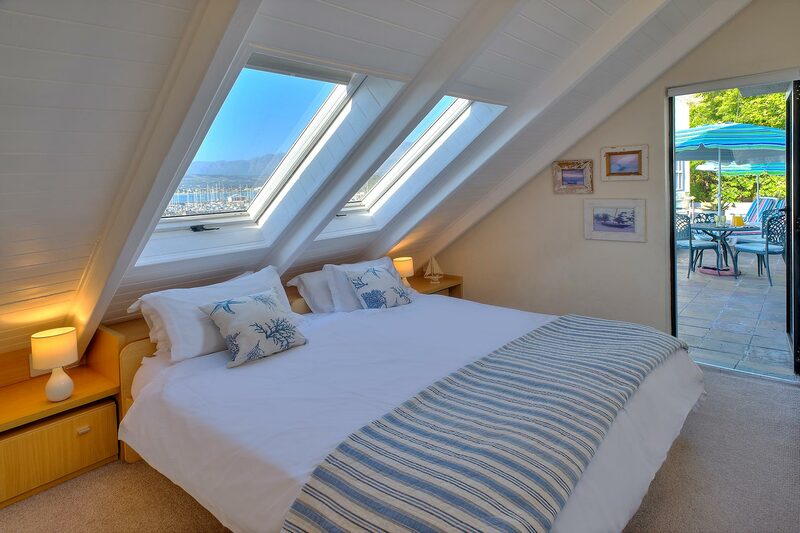 Overlooking the marina, the 2nd bedroom has a king bed and two pull out children’s beds for those wishing to economise, also with a chic shower room overlooking the sea. This bedroom leads to a roof garden with sun loungers and another dining area overlooking the pool and the ocean. This is an ideal apartment for a family or for 2 couples on holiday. 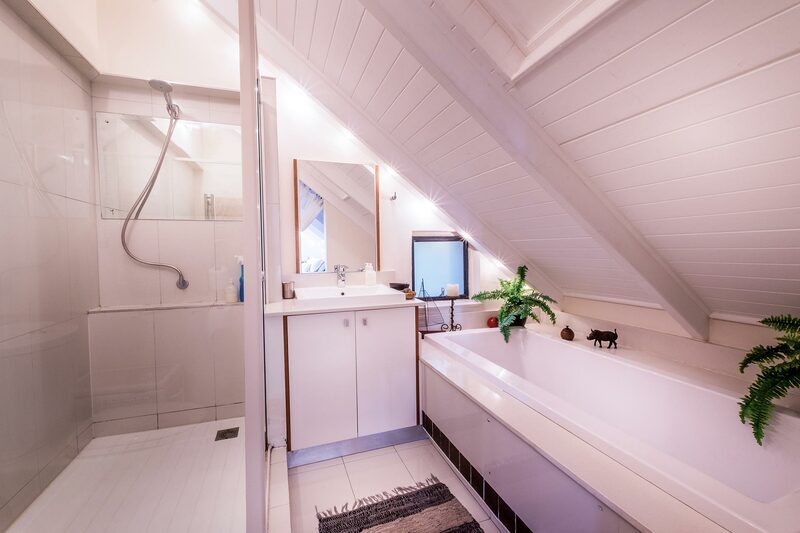 The 2 bedrooms are ideal too for business colleagues. Bedroom 2: King bed under skylight windows. 2 pull-out children’s beds. 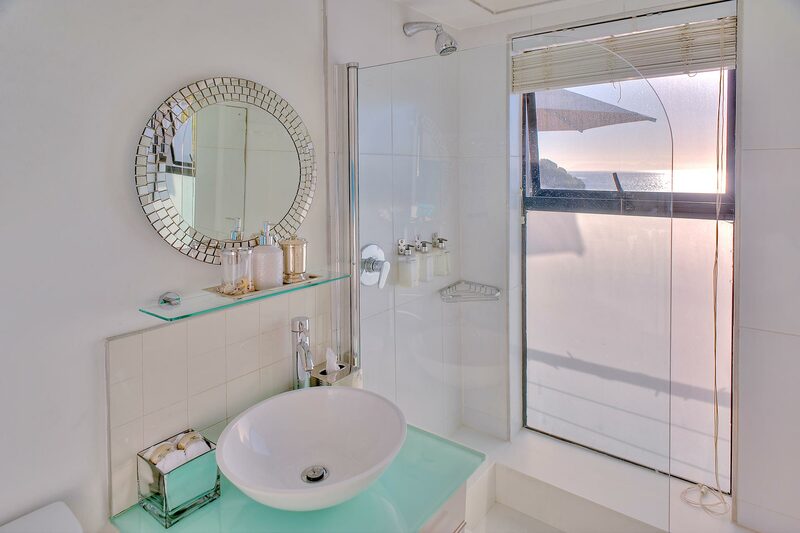 Ensuite showerroom with sea view. Heated towel rail. Wifi: Quality, free, uncapped Wifi. 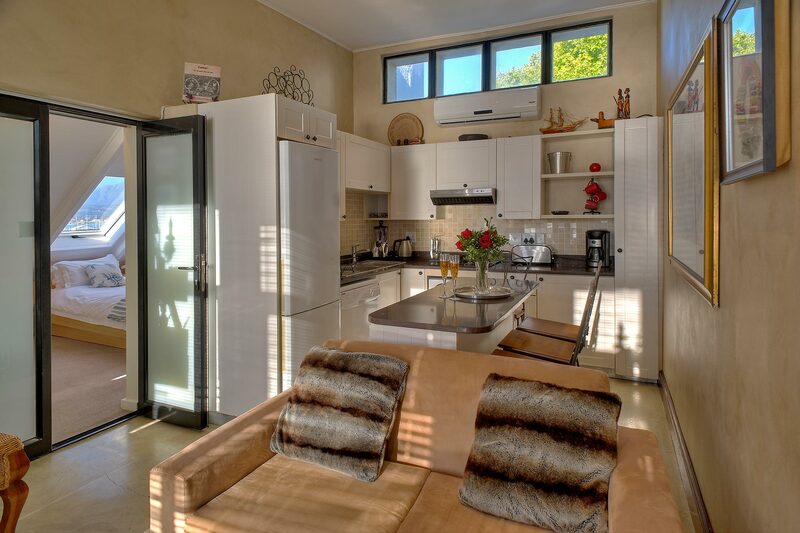 Catering: Full kitchen – gas stove, double sink, full fridge/freezer, fully equipped. No oven. Barbecue: Gas and charcoal barbecue. 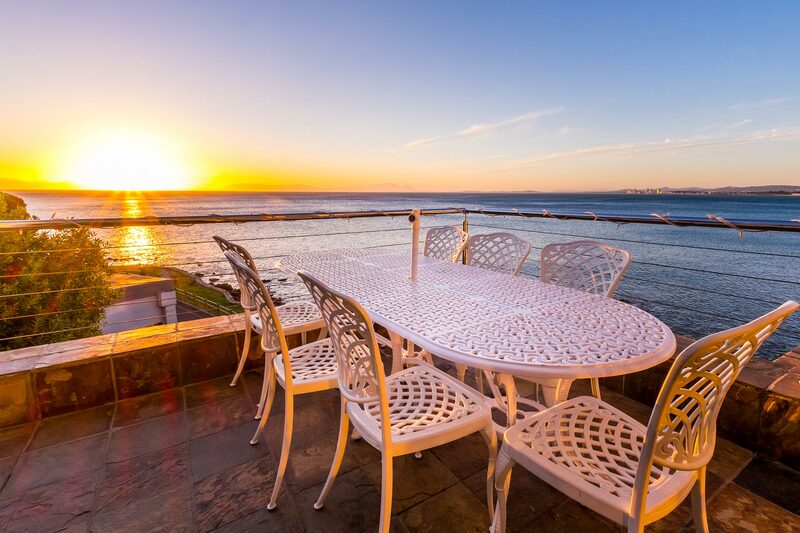 Balcony 1: 6-seater outdoor dining, look onto waves & sunset. Sunny. Balcony 2: 4 seater outdoor dining and sun loungers. 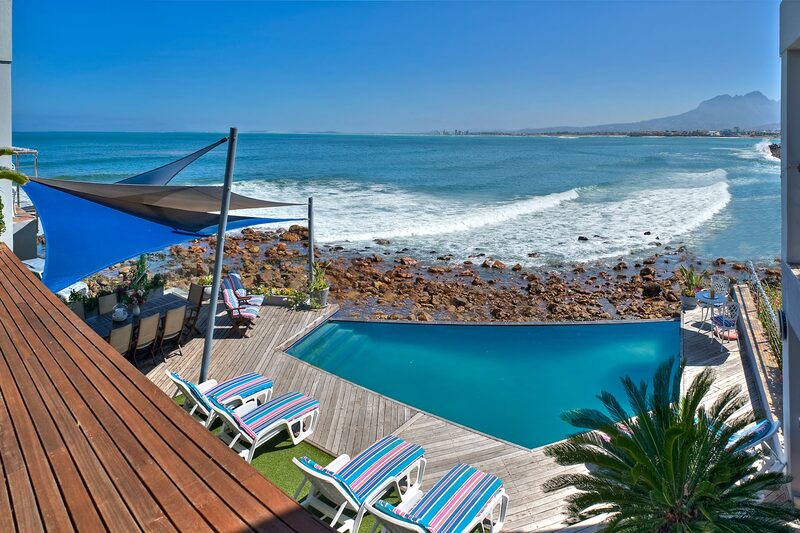 Look onto waves and pool. Sunny. Refreshments: Ceylon & Rooibos tea, Nescafe & Ground coffee, sugar, biscuits, cornflakes. Service: Daily cleaning by charming staff. Access: Private entrance. Spiral stairs not suitable for the frail. Share This, Choose Your Channel!